Numerous different people in Los Angeles try to find love in the modern dating world. People who find themselves dating/rendezvousing in the modern technological age have lots of tools at their disposal: Tinder, Bumble, Grindr, and those are only three of the apps talked about at length in popular culture! Back in our day (BigJ and I met via the now-defunct Yahoo! Personals website), all you got was one free "icebreaker." Though these services make meeting people a lot easier, it doesn't help relationships once they begin. "Electric Love" is directed by Aaron Fradkin. He also helped write the screenplay along with Victoria Fratz, who also plays Steph in the movie. This film revolves around a group of millennials living in Los Angeles, including a photographer named Emma (Mia Serafino), her polyamorous podcasting roommate Charlotte (Misha Reeves), music video director Adam (Zachary Mooren), his roommate Dave (Byrne Owens), Dave's long-distance girlfriend Sophie (Sharon Pierre-Louis), and Adam's gay best friend Greg (Matt Bush). The majority of the story is focused on Emma and Adam and how they find each other after a series of dates gone wrong. They spend a night together and quickly begin a relationship. Over the next few weeks, Adam and Emma have to find ways to make their blossoming courtship work, so long as life, work, jealousies, and longtime friendships don't get in their way. Characters venture in and out of their day-to-day lives here and there, and through their various connections with roommates, friends, and former Tinder dates, we experience many different types of people and relationships throughout the story. Like many films we get the opportunity to view at the San Diego International Film Festival, we didn't know much about "Electric Love" going into it. We do know that nowadays, people use apps and online dating to connect with and find potential matches, but once you meet face-to-face, the rest is up to you. We wound up really enjoying "Electric Love" a lot! It is a sweet romantic comedy about two veterans of the social media/internet dating game finding one another in the chaos of Los Angeles life. We found the characters and the actors who played them to be quite charming and relatable, particularly Mia Serafino as Emma, Zachary Mooren as Adam, and Matt Bush as Greg. We laughed at the witty dialogue and the sometimes awkward situations that arise from dates-gone-wrong and even some dates-gone-right. As some of these people struggle through their insecurities, whether they stem from an unrequited 'I love you' or irrational jealousies because of a boyfriend and his platonic female friend, we got invested in their interconnected journies. Sure, some aspects of the movie may feel a bit cliche, but we still found this flick to be a fun, light, humorous look at life in L.A. that is full of heart and truth. 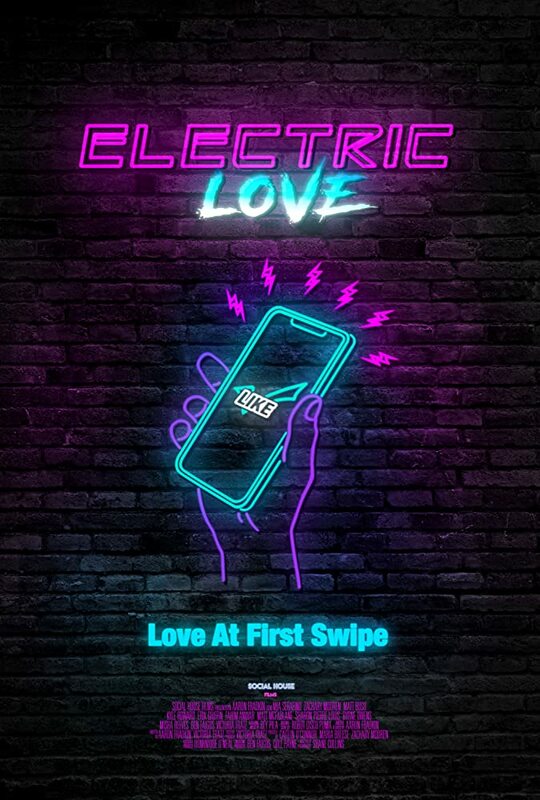 If you get the opportunity to see "Electric Love," we highly recommend you swipe right on this movie!